This Week’s Poll: Today was arguably the biggest day of the year for video games, as both Microsoft and Sony played their cards at E3 and really started to push their new consoles. My question for you is: Based on today’s presentations at E3, what is going to be your main system of choice for the next generation of games? I’ll refrain from sharing my thoughts just yet, but I have a pretty good idea of what’s going to be the winner here. Did you watch any of the E3 conferences today? What impressed you the most? What games are you most looking forward to on the Xbox One? My son is actually the gamer; I’m looking forward to a multi-media center that can sync with my laptop and smartphone. Although, if there were better Kinect games out there I could probably be swayed to play a few! Oh yeah, the Xbox One does seem like the way to go for an all-in-one multimedia center. I’ve been wanting to try out their SmartGlass app, but my phone is incompatible with it. Seems like it has a lot of potential though! Glad to see Dazed and Confused be number one. I voted for the Xbox One. Definitely the Xbox One – I’ve played Xbox’s from the start and am conditioned. Plus – I playstation controllers are poo. I prefer the Xbox controller, too, but I think Microsoft is making some huge mistakes with their new system. The PS4 is looking awfully tempting right now, especially given it is $100 cheaper. The price is a point of contention – they’ve definitely out priced themselves for me right away; but I’m Xbox through & through so I’ll most likely wait for the Christmas rush to die down and see if it drops a little into next year. I remember it going that way with the 360. I hope you’re right about the price drop. I’m debating on if I want to pick up a system right away, but yeah, $400-500 is steep no matter how you cut it. I keep forgetting he was in Dazed and Confused. Really? For me he is the most memorable character from that movie. Must check both Dazed and Confused as well as Mud, which has been getting rave reviews. I’ve actually just seen The Lincoln Lawyer (3.5/5) and Killer Joe (4/5) not long ago. My vote is with Killer Joe all the way. As for the next generation of consoles, I’m sticking with Playstation like I did in the previous generation. The main reason this time around are the provisions of the new Microsoft console, namely the daily online connection and the inability to play used games (which is a ridiculous corporate abuse). I mean, consider for a second if we were not allowed to buy used cars, or other electronics. Wouldn’t you be appalled? I certainly would be! 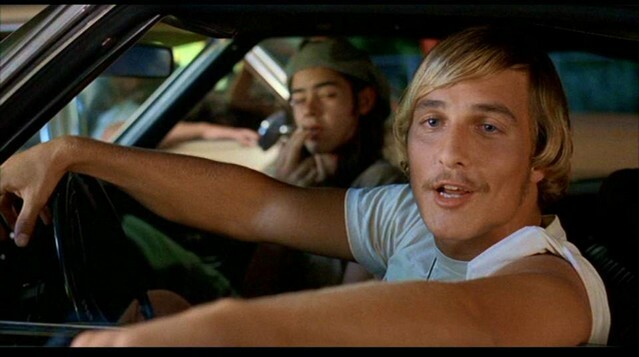 Oh wow, you haven’t seen Dazed and Confused? Now would be as good of time as any to give it a shot — it’s the perfect summer film. As far as the new Xbox goes, I agree with you 100%. While I don’t buy a lot of used games, it’s absolutely ridiculous for them to take away that right. The daily online connection and mandatory Kinect are annoying “features” as well. I have a feeling both systems will see some changes before the holiday season, and hopefully Microsoft backs down on some of their ideas.